This week I’ve gone for a super sparkly pretty pink look. I always start by cleaning any dirt from my nails – I actually use a toothbrush and whitening toothpaste so my natural nails stay stain free. Then I rub Sally Hansen Cuticle Massage Cream on to my cuticles to soften them before using an orange stick to gently push them back. Next I use Sally Hansen Natural Nail Growth Revitalizer to make my nails stronger (nine years of waitressing has ruined my lovely strong nails) as they can become quite brittle and tear easily. I will be posting a tutorial for fixing tears without cutting your nails shortly. I then use the Sally Hansen Continuous Growth Treatment as a base coat to really strengthen my nails. I absolutely love love love anything that comes from Barry M, and their nail paint is at the top of my list. They are definitely hard-wearing and are super cheap for such high quality. Glitter polishes are a pain to get off (tutorial for an a-maz-ing-ly easy way to remove glitter coming soon), but when you have to build up so many layers for the perfect look, it can be even harder, but totally worth it! 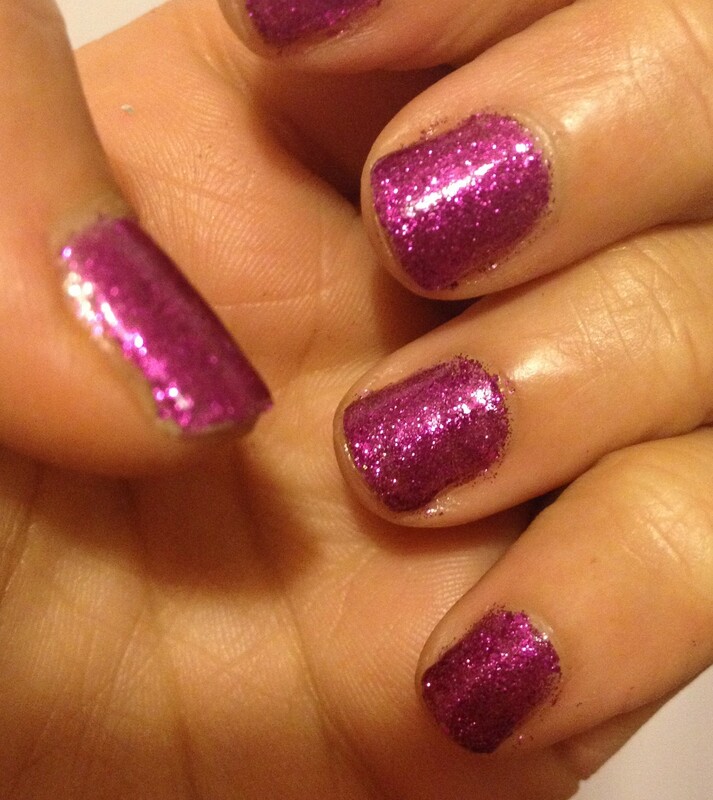 Here’s the glitter polish after just one coat, and then the final product after four coats.